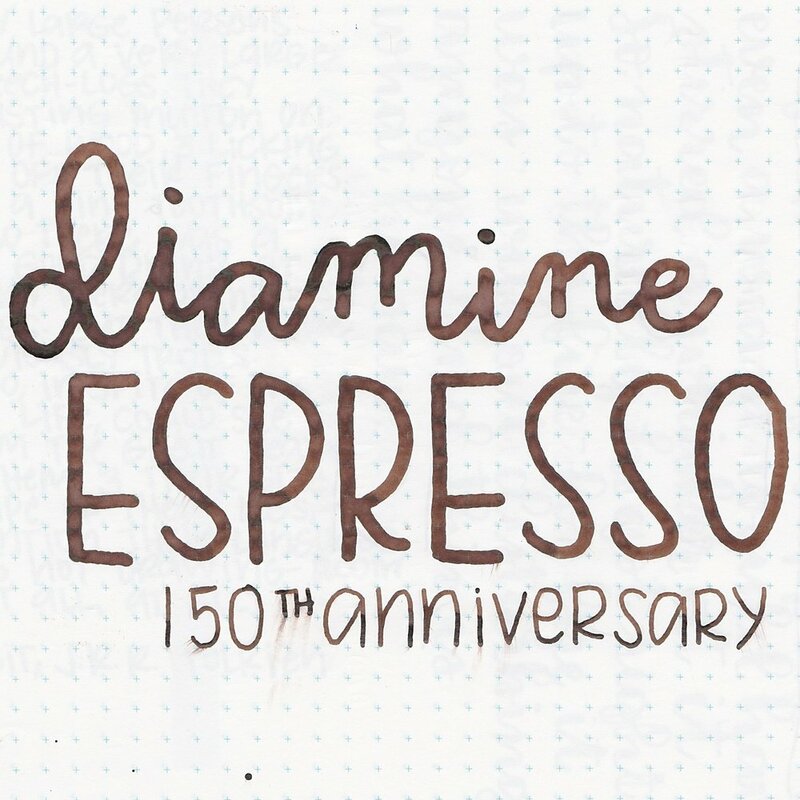 Diamine Espresso is from the 2017 150th Anniversary collection from Diamine. So far, I have liked the collection. I purchased my sample from Vanness Pens. Espresso is a light brown, with a cool tone. In ink drops, Espresso almost looks like black velvet. Ink swabs for comparison, left to right (top to bottom for RSS): Pilot Iroshizuku Yama-guri, Diamine Espresso, and Diamine Cult Pens Deep Dark Brown. Yama-guri is a bit cooler than Espresso, and Deep Dark Brown is a bit warmer and darker. 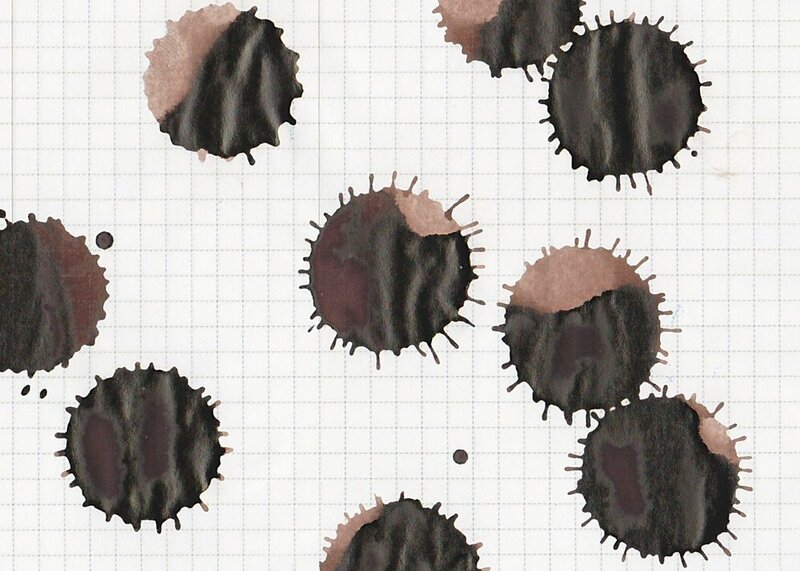 Click here to see the Diamine ink swabs together. Diamine Macassar, Montegrappa Coffee Brown, and Pelikan Edelstein Smoky Quartz. Click here to see the brown ink swabs together. 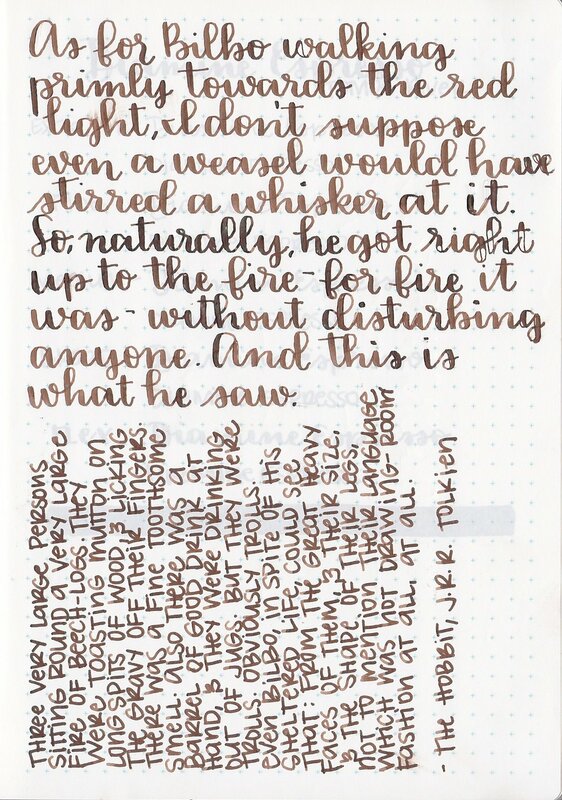 I started with the Pilot 912 FA, and then switched to a broad nib. I love seeing the shading and sheen in the broad nib. Overall, this ink is really well behaved. It's a nice color, and has some sheen and shading to it. I think I need a full bottle of this one.